2010 Senate Candidate and "Tea Party Darling"
Christine O’Donnell was a candidate for U.S. Senate in Delaware, most recently in 2010 for the Senate seat vacated by Joe Biden. She’s been dubbed the “Tea Party Darling”, “Troublemaker” by Time and a leader of the “Second American Revolution” by the foreign press. She has appeared and continues to appear on and in a wide variety of media outlets, from Good Morning America to People, The Rush Limbaugh Show to Hannity and maintains a robust national speaking schedule. She lives in Delaware. 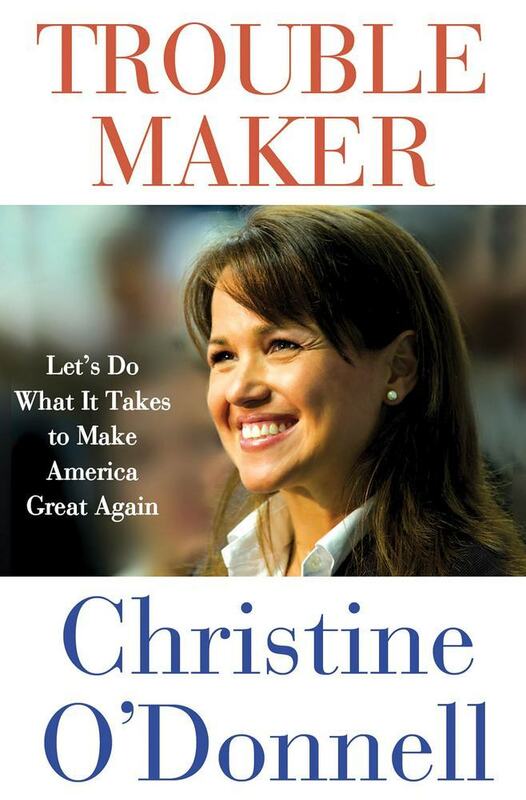 A memoir by 2010 Delaware Tea Party candidate Christine O'Donnell. Troublemaker: Let's Do What It Takes to Make America Great Again O'Donnell details how she participated by running for high office as an everywoman, but also shows how attending town council meetings, organizing a petition drive, making an effort to meet a staffer in your local representative's office, or simply reading the minutes from your community board can make a difference.